There is nothing better than a pickup truck for the heavy work, as well as to go fishing or stroll with the family. In a market that offers many different models of all sizes, engines, uses and utilities, knowing exactly which truck to buy can be complicated and confusing. Here we offer you some tips that will help you to choose or to clarify your doubts about what is the most appropriated model. While previously the pickup trucks were used as work vehicles, currently they are used for daily transportation. Pickup trucks are available in various sizes and levels of additional equipment, from heavy duty or work trucks with no accessories and 4x4 off-road to luxury models for five passenger. The main differences between the compact and large trucks are the size of the vehicle, the available engines and the towing capacity. Compact trucks are easier to park, have better fuel efficiency and are cheaper. But as they have smaller engines and are weight lighter, they do not have the same towing capacity than large trucks. Large Trucks offer more interior space, stronger engines and greater cargo capacity but generally consume more fuel and can be more difficult to park them in narrow spaces. Large trucks also serve to carry heavier trailers. Large trucks also serve to carry heavier trailers. If your intention is to leave the pickup truck in a garage, make sure it is large enough for the vehicle you choose. ¿Regular Cab, extended or double? Regular Cab Pickup Truck. Toyota Tacoma 2012. 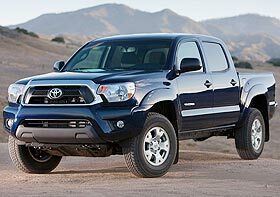 The Tacoma is the cheapest and most wanted pickup truck in America[/img3]Regular cab models are the most economical. The extended cab offers more room behind the front seats plus two rear seats perfect for small children on short walks. Many of the extended cab models have one or two small rear doors to facilitate access to the rear. The double cab trucks have four doors and two full seat rows that can carry up to five people comfortably. However, these trucks usually have shorter boxes. Short Box Pickup Truck. 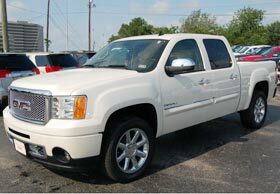 2012 GMC Sierra Denali 1500 Crew Cab Short Box Pickup. In some double cab models, the box length varies from 8 feet in its longer version to 4 feet in its shorter version. The best length box is the shortest that suits your needs. It is more difficult to maneuver a truck with longer box in tight spaces. Many compact pickups have an extension that lets you use the truck with the door open box to carry a charge longer. For example, a pickup truck with a box of 6.5 feet can carry a load of 8 feet with the box door open. The extensions occupy the cargo space when the box door is closed, but they can be removed easily. If you are going to use the pickup truck solely to drive on highways and in moderate weather conditions, the two-wheel-drive (2WD) truck is preferable. It is more expensive to buy, use and ensure the four-wheel drive model besides that its weight affects acceleration and fuel efficiency. The four-wheel drive system is more convenient to drive outside paved roads, winter conditions or when you need low traction to put a boat into the water. All trucks can be used for towing although larger pickup trucks can carry more load than smaller. To get the maximum of the towing capacity of a pickup truck, it is generally necessary to equip it with an optional towing package. This varies according to the model but usually includes transmission cooler, engine oil cooler and wiring harness to connect the trailer lights to the truck. The base engine in the compact pickup trucks is generally four-cylinder which is the most economical and which provides a relatively good fuel economy. The optional V6 engines are stronger and generally more quiet and smooth. Some modern V6 engines have fuel efficiency almost as good as four-cylinder engines. 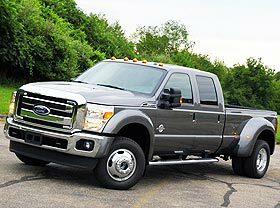 The base engine for a large truck is the V6 which has better fuel economy than the larger optional engines. But to carry heavy loads or towing, large trucks have V8, V10 and more powerful diesel engines. You can compare the estimates fuel efficiency of EPA for determined pickup trucks models at www.fueleconomy.gov. Media, 3/4 or 1 ton? Pickup trucks are divided into categories according to their payload capacity. Most of the pickup trucks used for personal transport are versions of half ton. Generally three quarters and 1 ton of cargo are usually the versions used for commercial or heavy trailer because of its greater resistance. Keep in mind the use that you will give to the vehicle at the time of buying and resist the urge of buying too much capacity, since the pickup trucks for heavier use have stiffer and uncomfortable suspensions. 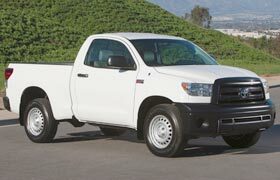 WHERE TO FIND THE CHEAPEST 2012 PICKUP TRUCKS? Below I will tell and show you what are the most affordable new 2012 pickup trucks for sale at this moment and what dealers have them in their inventory stock, also with their corresponding price, mileage, and contact information. $15,995 — 2012 GMC Canyon WT for sale in PENNSYLVANIA. 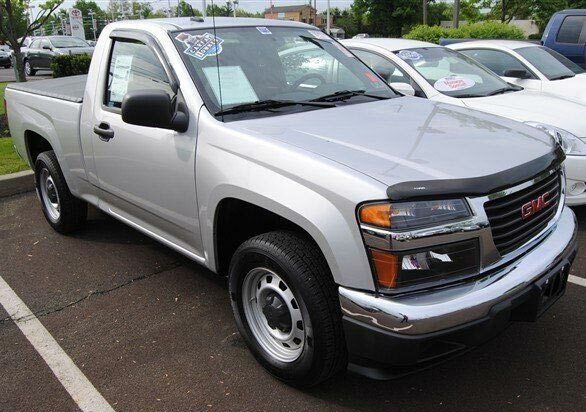 This GMC pickup truck is being offered in Hatfield, PA by CarSense Hatfield dealer. Mileage: 3,926. Asking price: $15,995. If you are interested, please contact them at : 888-771-1337. $16,001 — 2012 Toyota Tacoma Base for sale in TENNESSEE. 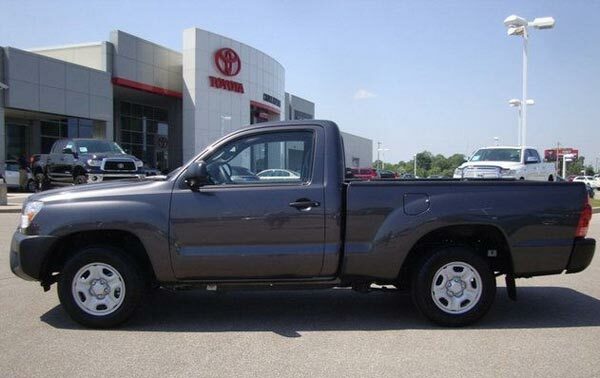 This Tacoma pickup truck is being offered in Memphis, TN by Chuck Hutton Toyota dealer. Mileage: 4,600. Asking price: $16,001. If you are interested, please contact them at : 866-520-4596. 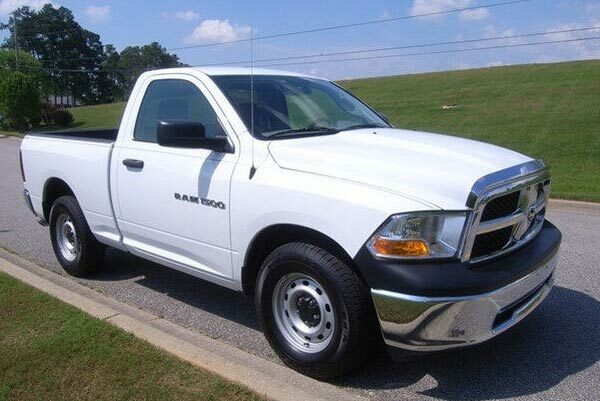 $16,881 — 2012 Dodge RAM 1500 ST for sale in GEORGIA. This Dodge pickup truck is practically NEW and is being offered by TNTSUPERCENTER. a car dealer located in Thomasville, GA . Mileage: 411 only. Asking price: $16,881. If you are interested, please contact them at : 888-889-9342 . 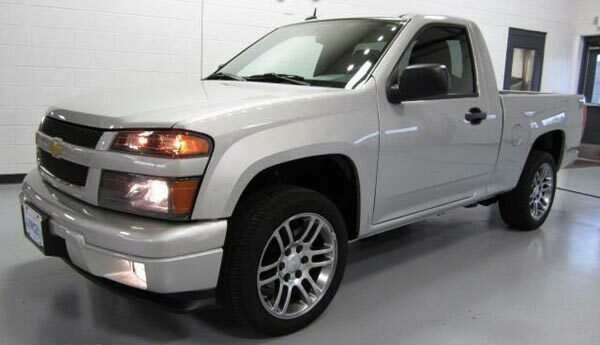 $16,890 — 2012 Chevrolet Colorado for sale in WISCONSIN. This Chevy Colorado pickup truck looks amazing is being offered by Lynch Chevrolet Buick GMC, a car dealer located in Burlington, WI . Mileage: 4,866 only. Asking price: $16,890. If you are interested, please contact them at: 877-890-0585. $16,895 — 2012 Nissan Frontier S for sale in TEXAS. 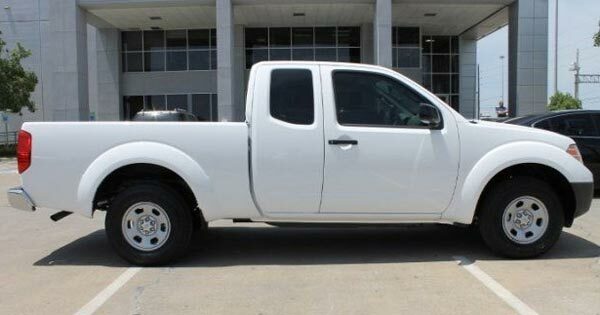 This Nissan Frontier pickup truck is practically NEW and is being offered by Baker Nissan South, a car dealer located in Houston, TX. Mileage: 95 only. Asking price: $16,895. If you are interested, please contact them at: 877-820-9518. Hi, just wanted to say thanks for this article. I live in Tallahassee, FL, just 30 minutes away from TNTSupercenter, the dealership selling the white Dodge Ram 2012 for $16,881 you posted at the bottom. That's exactly the pickup truck I was looking for but I couldn't find it here in the Florida for less than $18,000. I never though I was going to find one available for a cheaper price in Georgia, only half hour from here. Thank you!